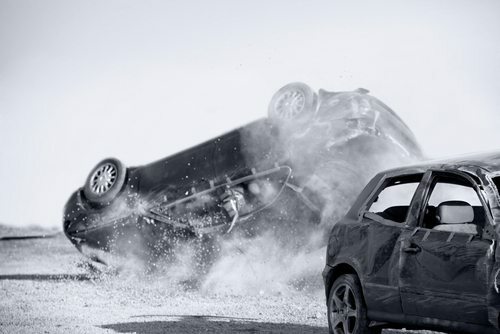 While all types of car accidents can result in serious injury or death, a vehicle rollover can cause debilitating and critical injuries, or death. Some vehicles are more likely to roll over than others. Here’s what you should know about vehicle rollovers and what to do if you or a loved one were hurt. The National Highway Traffic Safety Administration estimates that roughly 10,000 people are killed in vehicle rollover crashes nationwide every year. 33% of all passenger fatalities in a car wreck are caused by a vehicle that rolled over during the collision. Speeding increases the chance of a rollover accident, no matter what type of vehicle you are driving. You are 75% less likely to be killed in a vehicle rollover if you are wearing your seat belt. Are Some Cars More Likely to Roll Over Than Others? One issue plaguing the auto industry is the design of vehicles that are more likely to roll over. Tall, narrow vehicles considered “top heavy,” like sports utility vehicles, are more at risk for a rollover than a four door sedan. This is a design flaw, yet car manufacturing companies still continue to make vehicles that are dangerous. Unfortunately, car salespeople neglect to warn drivers that taller, more narrow vehicles put them at a higher risk. Mothers who want extra space or off-road enthusiasts are often sold SUVs without being informed of the danger. Were You or a Loved One Injured in a Rollover Accident? If you or a loved one were hurt in a vehicle rollover, reach out to an experienced car accident attorney as soon as you can. There may be multiple parties at fault — including the other driver, the vehicle manufacturer, and the company or individual that sold you the vehicle. An experienced attorney can determine who may be held liable and can help you bring forward a claim for damages. Contact the Slonaker Law Firm today to get the help you need after a devastating accident by calling 352.629.6656 or 352.777.8176.